In Houston, the temperature is the 100′s, the leaves are turning brown and auburn (from a stubborn drought), and kids are stocking up on pencils, notebooks and backpacks. That can only mean one thing: The school year is starting again. In the next few weeks, classes will kick off in districts around the country. So where are good story ideas lurking for education writers and others covering Latino communities? For many school districts across the country, today is the first day of a new year. For education reporters, finding fresh angles on familiar turf can be a challenge. It’s been a busy year for higher education reporters, and the New Year promises plenty of challenging — and important — stories to cover. 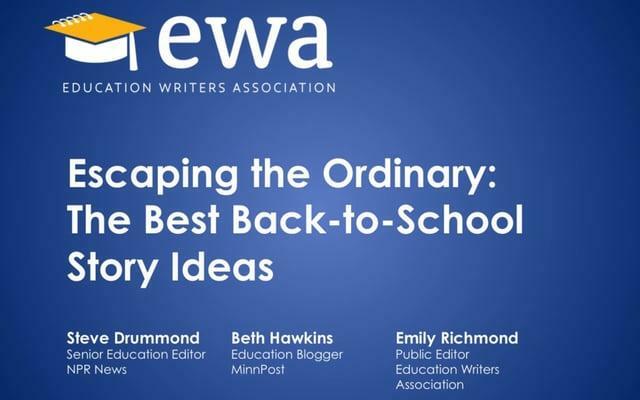 I thought it would be a good time to revisit one of our most popular sessions from EWA’s National Seminar, held at Stanford University. Today’s guest blogger is Delece Smith-Barrow of U.S.